The ruling Liberal National Coalition was firmly opposed to the legislation, which it said would endanger national security, but it passed Australia's lower house by a vote of 75 to 74. The opposition Labor Party and a group of independent MPs supported the legislation. At that time, the sitting Australian leader called an election. Despite his historic loss, Prime Minister Scott Morrison has refused to do the same. Under the legislation, asylum seekers detained on Australia's controversial offshore detention centers can be more easily evacuated to the mainland for medical assistance if they become critically ill. 19659002] Morrison said Labor weakened the country's border by supporting the bill in a tweet Wednesday. He also announced that Australia would reopen its controversial Christmas Island detention center, which was closed late last year. 2-year-old boy who had refused to eat for weeks. 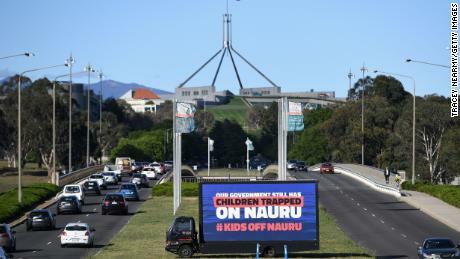 The new law would provide a clearer path for asylum seekers on the Australian offshore camps on the small island nation of Nauru or Papua New Guinea's Manus Island to fly to Australia for treatment. The legislation was introduced by independent MP Kerryn Phelps, a former head of the Australian Medical Association. The bill became law after it was passed by the Australian Senate on Wednesday morning. In a defiant speech before the vote, Morrison said the legislation would weaken Australia's border protection regime, without specifying how. "I will not stand here and have this parliament give itself the excuse to weaken the border protection framework," he said. said. But the Australian government's policies to stop refugees arriving in the country by boat have faced stern international criticism. Medical professionals from Doctors Without Borders said in November the situation was "beyond desperate." "Now the children, some of them, they are not eating, they are not drinking, anything, they are just lying on the bed, doing nothing … sometimes their parents have to take them to the hospital to feed them, by needle, "Doctors Without Borders psychologist Natalia Hverta Perez said in a video posted to social media. 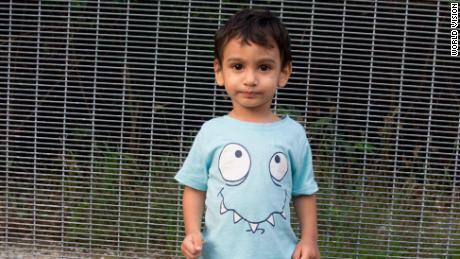 Amnesty International said the Australian asylum seeker camps on Nauru were an "open-air prison."